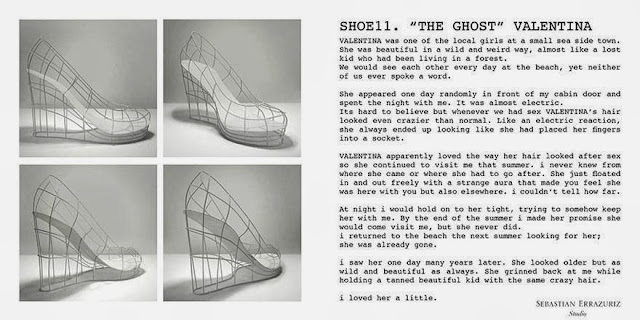 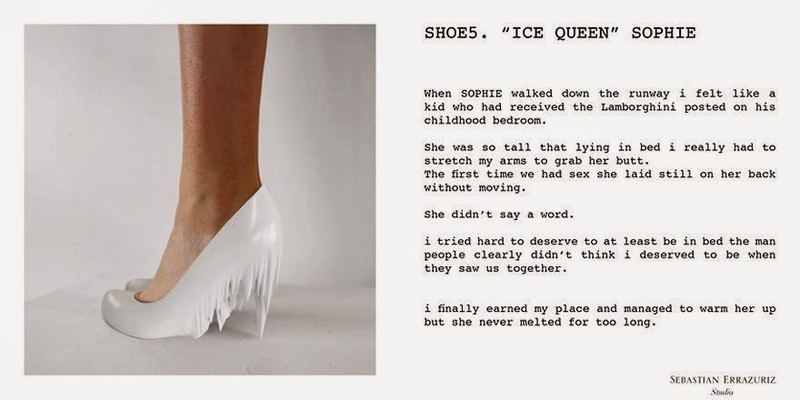 Artist Sebastian Errazuriz has teamed up with shoe company Melissa to create what he calls 12 Shoes For 12 Lovers. Sebastian has designed each of the twelve high heeled shoes to reflect each of his twelve ex lovers. 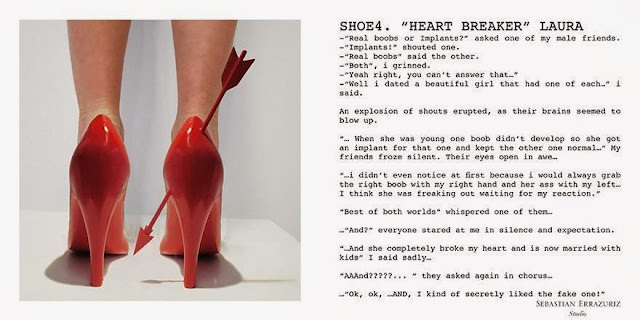 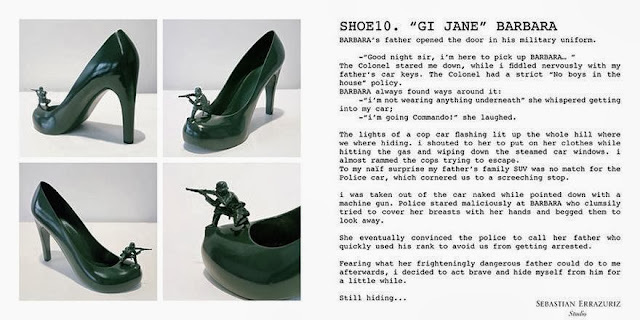 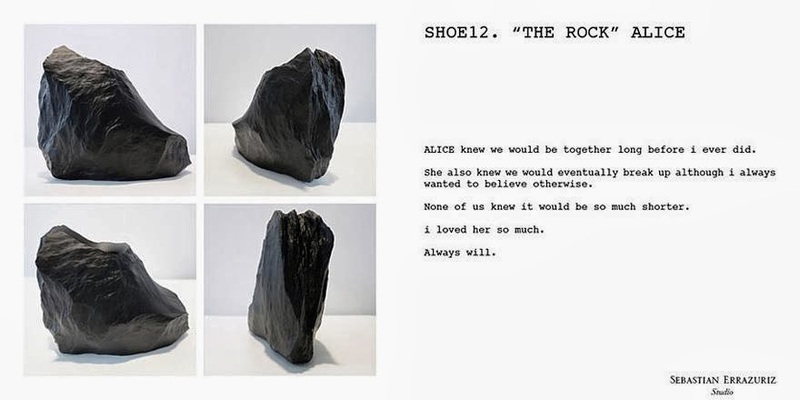 The names he has given the shoes are not the real names of his exes, but all shoes come with a short anecdote of the girl each shoe is dedicated to. 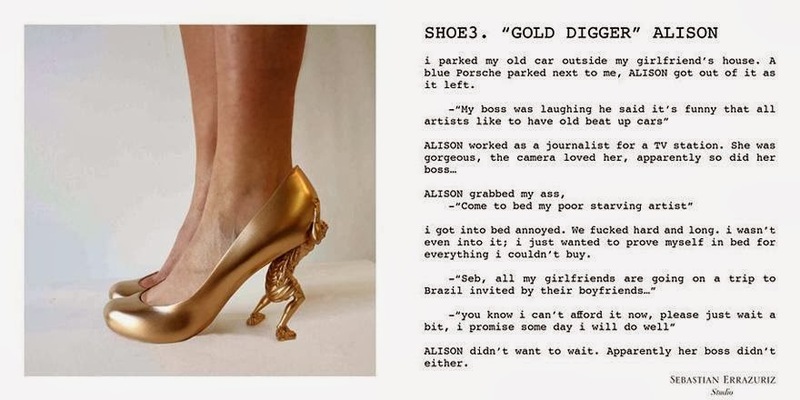 And here are the shoes!